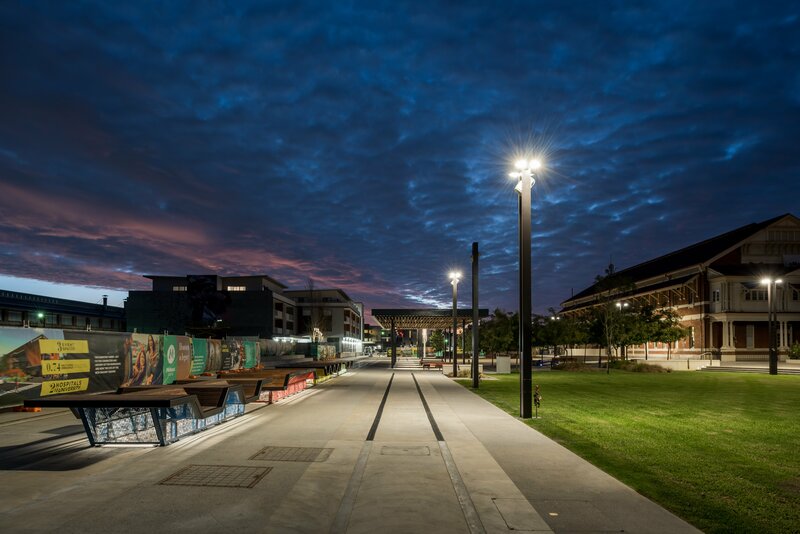 The first stage of Midland Railway Square, located within the historic railway workshop precinct and adjoining the still active freight and passenger lines, opened on Anzac 2017. 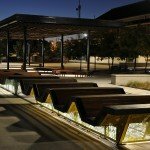 This initial stage includes landscaping, ceremonial rail line, artworks, shade structures, custom seating, water misting and feature lighting. 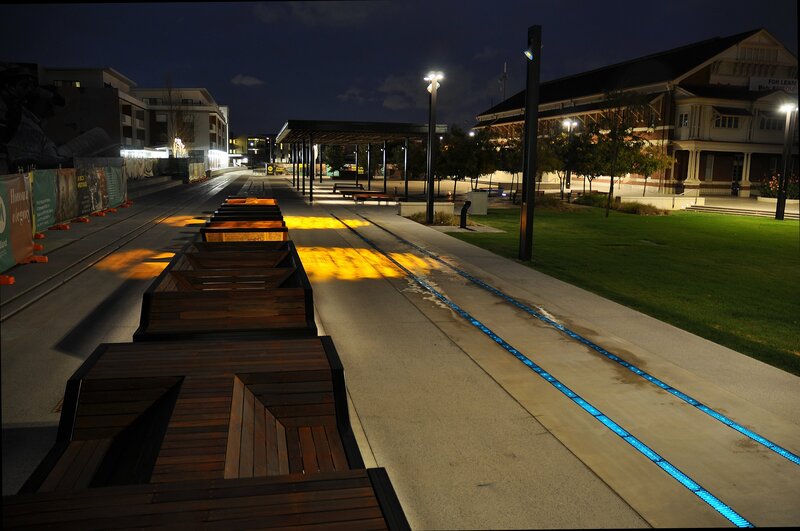 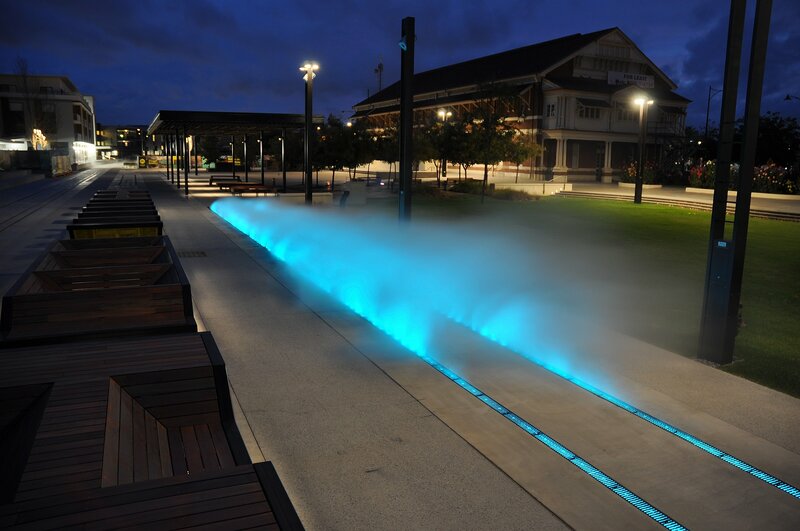 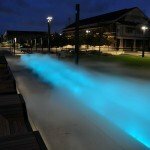 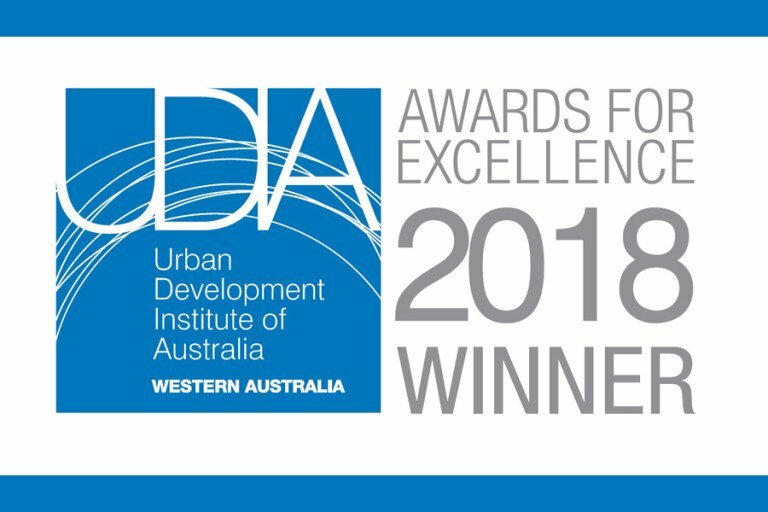 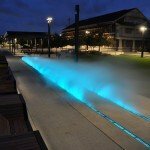 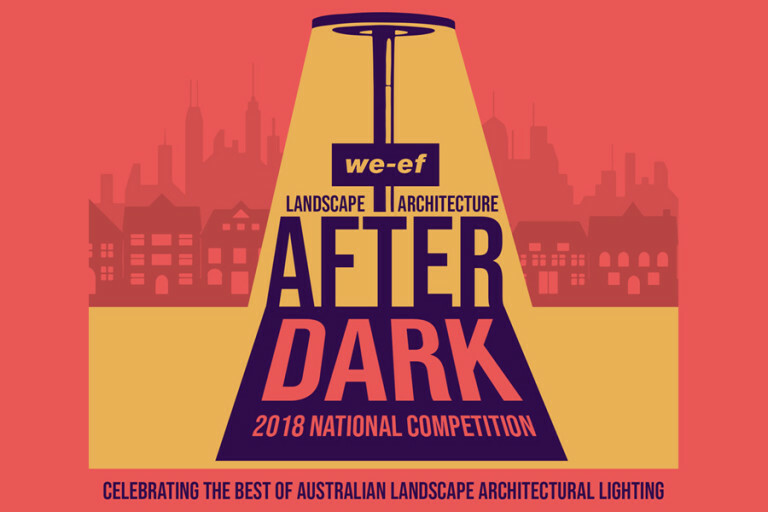 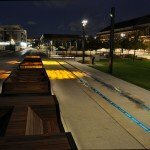 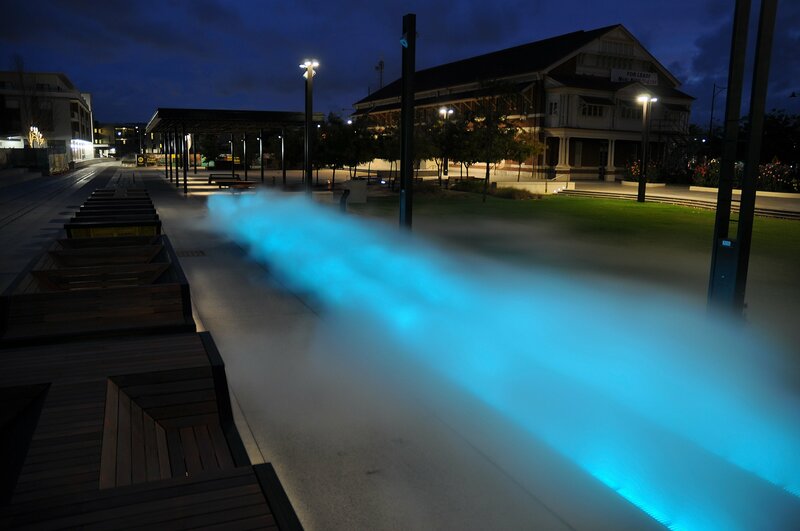 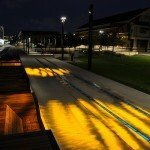 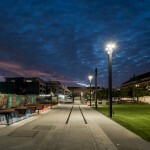 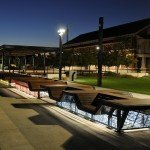 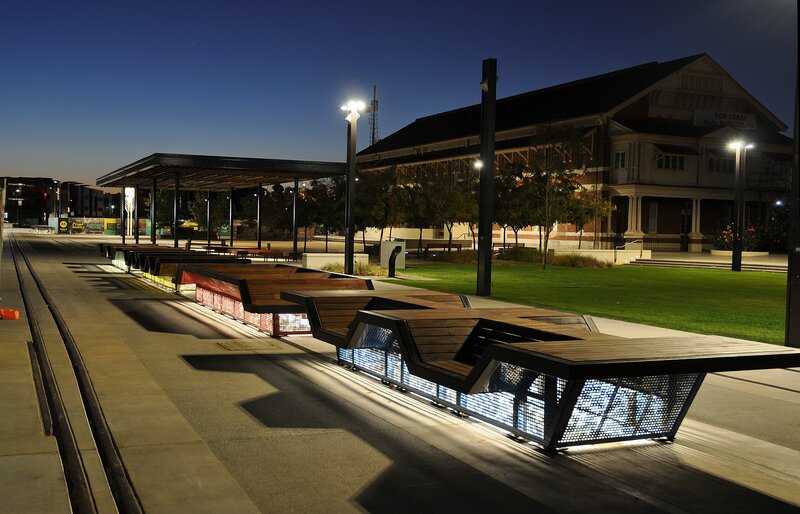 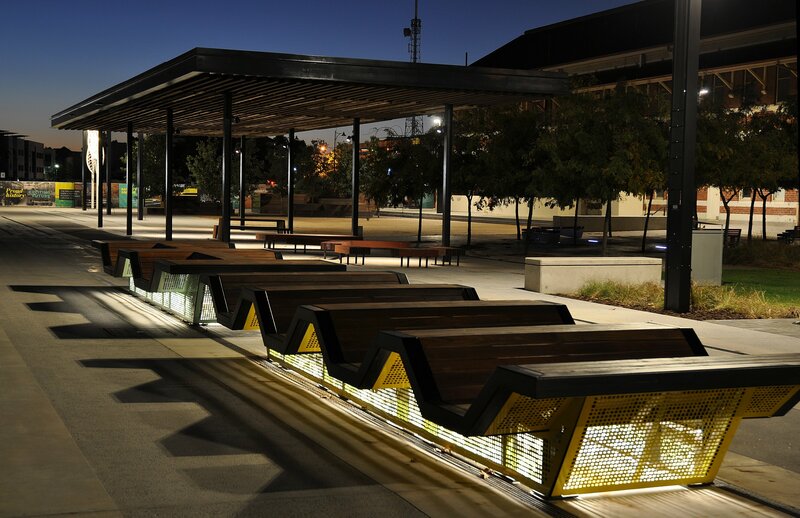 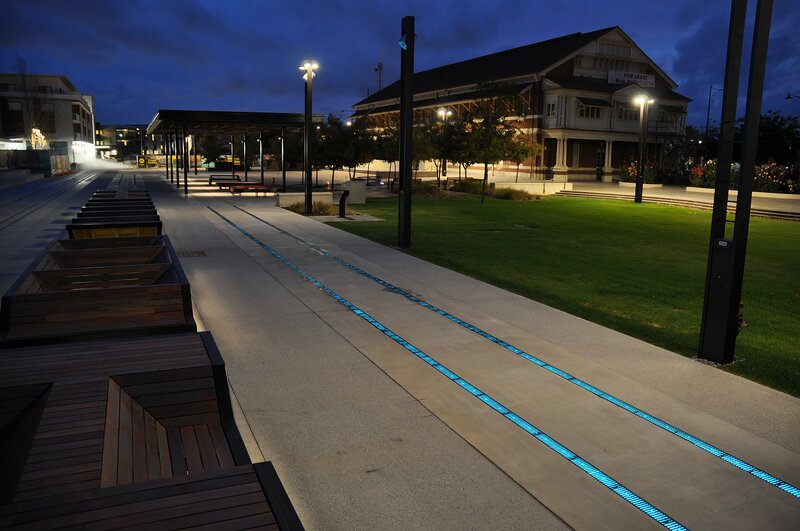 The design collaboration of Place Laboratory (Landscape Architects) and ETC (Lighting Designers) has resulted in a dynamic urban space capable of a myriad of unique and variable night scenes to suit various modes and events within the space. 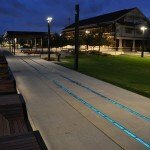 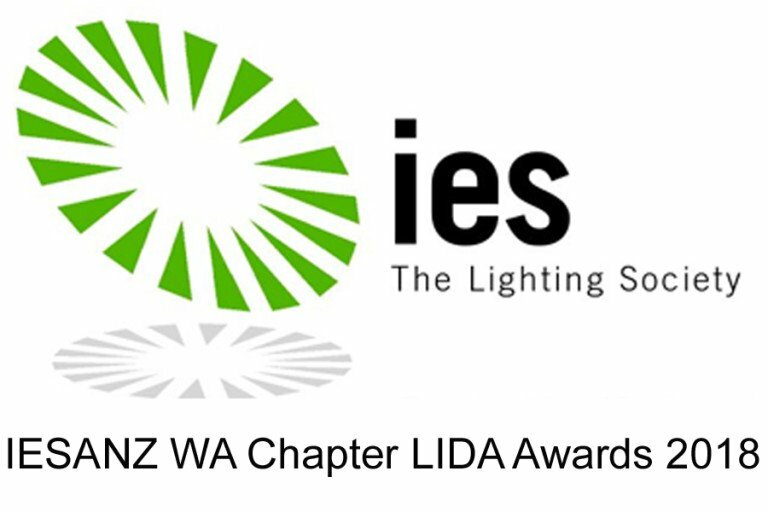 The lighting system incorporates a Pharos Lighting control engine with smartphone App user interface, linear LED track lighting with water misting, an array of Martin outdoor Gobo projectors and Dali dimmable general area lighting. 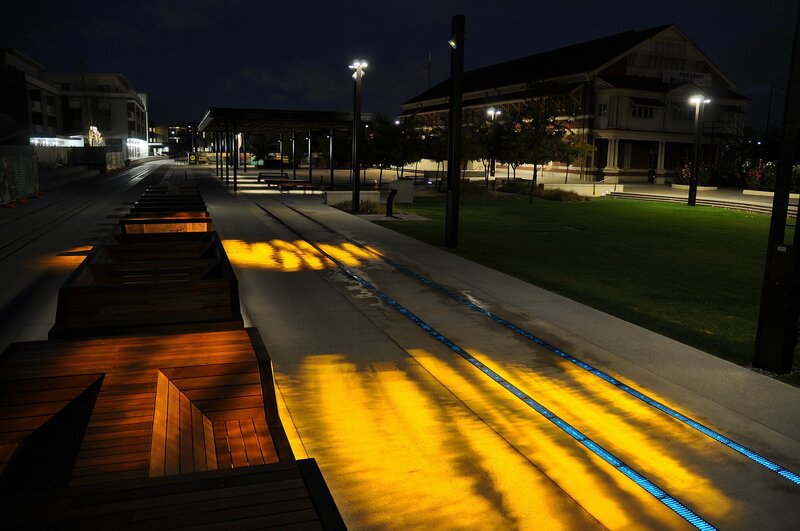 The next stage of Railway square will include a rail platform with Alfresco dining, mature tree transplants, custom tree lighters, artist themed Gobo projections and more.